Premier League trio chase LA Galaxy striker | The Transfer Tavern | Where football transfer rumours fly or die! Robbie Keane is being pursued by Premier League trio Norwich, QPR and Aston Villa who all want to bring the LA Galaxy striker in on loan this winter. The 32-year-old impressed during his six week loan spell at Aston Villa last season, with three goals in his seven games for the Villains and the trio are eager to stitch together a similar arrangement again according to John Cross from Mirror Football. 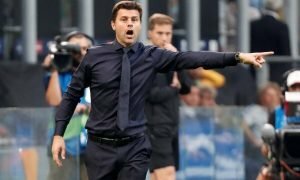 However the former Tottenham Hotspur striker is not so enthusiastic on the idea and has stated he would rather stay in the US during the close season to recover from the injuries he has suffered this term. 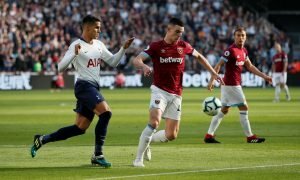 Harry Redknapp, who managed the Irish forward at White Hart Lane, wishes to bring Keane to Loftus Road to bolster his struggling attack while Paul Lambert wants to bring Keane back to Villa Park to add experience to his front line. The former Liverpool forward has excelled in his full first campaign in the MLS, scoring 22 goals in 24 games and he capped it off in style last week after winning his second MLS Cup. If he does decide to make the short-term trip to England he could be available up until the start of the American season in March. Will Keane return to the Premier League once again? Vote in our polls below.